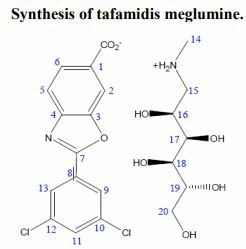 Tafamidis (INN, or Fx-1006A, trade name Vyndaqel) is a drug for the amelioration of transthyretin-related hereditary amyloidosis(also familial amyloid polyneuropathy, or FAP), a rare but deadly neurodegenerative disease. The drug was approved by the European Medicines Agency in November 2011 and by the Japanese Pharmaceuticals and Medical Devices Agency in September 2013. In 2011 and 2012, orphan drug designation was assigned in Japan and the U.S., respectively, for the treatment of transthyretin amyloid polyneuropathy. This designation was assigned in the E.U. in 2012 for the treatment of senile systemic amyloidosis. In 2017, fast drug designation was assigned in the U.S. for the treatment of transthyretin cardiomyopathy. The marketed drug, a meglumine salt, has completed an 18 month placebo controlled phase II/III clinical trial, and an 12 month extension study which provides evidence that tafamidis slows progression of Familial amyloid polyneuropathy. Tafamidis (20 mg once daily) is used in adult patients with an early stage (stage 1) of familial amyloidotic polyneuropathy. Tafamidis was discovered in the Jeffery W. Kelly Laboratory at The Scripps Research Institute using a structure-based drug design strategy and was developed at FoldRx pharmaceuticals, a biotechnology company Kelly co-founded with Susan Lindquist. FoldRx was led by Richard Labaudiniere when it was acquired by Pfizer in 2010. The process of wild type transthyretin amyloidogenesis also appears to cause wild-type transthyretin amyloidosis (WTTA), also known as senile systemic amyloidosis (SSA), leading to cardiomyopathy as the prominent phenotype. Some mutants of transthyretin — including V122I, which is primarily found in individuals of African descent — are destabilizing, enabling heterotetramer dissociation, monomer misfolding, and subsequent misassembly of transthyretin into a variety of aggregate structures  including amyloid fibrilsleading to familial amyloid cardiomyopathy. While there is clinical evidence from a small number of patients that tafamidis slows the progression of the transthyretin cardiomyopathies, this has yet to be demonstrated in a placebo-controlled clinical trial. Pfizer has enrolled a placebo-controlled clinical trial to evaluate the ability of tafamidis to slow the progression of both familial amyloid cardiomyopathy and senile systemic amyloidosis (ClinicalTrials.gov identifier: NCT01994889). Tafamidis was approved for use in the European Union by the European Medicines Agency in November 2011, specifically for the treatment of early stage transthyretin-related hereditary amyloidosis or familial amyloid polyneuropathy or FAP (all mutations). In September 2013 Tafamidis was approved for use in Japan by the Pharmaceuticals and Medical Devices Agency, specifically for the treatment of transthyretin-related hereditary amyloidosis or familial amyloid polyneuropathy or FAP (all mutations). Tafamidis is also approved for use in Brazil, Argentina, Mexico and Israel by the relevant authorities. It is currently being considered for approval by the United States Food and Drug Administration (FDA) for the treatment of early stage transthyretin-related hereditary amyloidosis or familial amyloid polyneuropathy or FAP. In June 2012, the FDA Peripheral and Central Nervous System Drugs Advisory Committee voted “yes” (13-4 favorable vote) when asked if the findings of the pivotal clinical study with tafamidis were “sufficiently robust to provide substantial evidence of efficacy for a surrogate endpoint that is reasonably likely to predict a clinical benefit”. The Advisory Committee voted “no” 4-13 to reject the drug–in spite of the fact that both primary endpoints were met in the efficacy evaluable population (n=87) and were just missed in the intent to treat population (n=125), apparently because more patients than expected in the intent to treat population were selected for liver transplantation during the course of the trial, not owing to treatment failure, but because their name rose to the top of the transplant list. However, these patients were classified as treatment failures in the conservative analysis used. 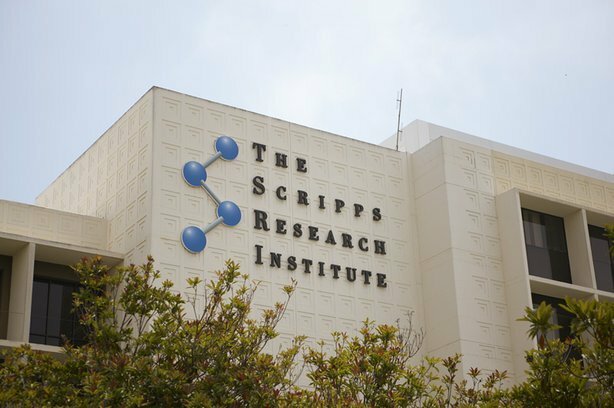 Pfizer (following its acquisition of FoldRx ), under license from Scripps Research Institute , has developed and launched tafamidis, a small-molecule transthyretin stabilizer, useful for treating familial amyloid polyneuropathy. 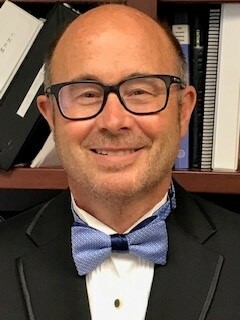 Click here to download a concise version of Dr. Jeffery Kelly’s curriculum vitae. Transthyretin’s two thyroxine binding sites are created by its quaternary structural interface. The tetramer can be stabilized by small molecule binding to these sites, potentially providing a means to treat TTR amyloid disease with small molecule drugs. Many families of compounds have been discovered whose binding stabilizes the tetrameric ground state to a degree proportional to the small molecule dissociation constants Km and Ka2. This also effectively increases the dissociative activation barrier and inhibits amyloidosis by kinetic stabilization. 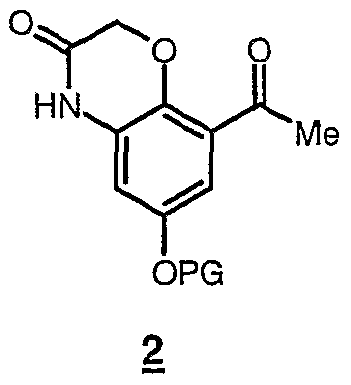 Such inhibitors are typically composed of two aromatic rings, with one ring bearing halogen substituents and the other bearing hydrophilic substituents. Benzoxazoles substituted with a carboxylic acid at C(4)-C(7) and a halogenated phenyl ring at C(2) also appeared to complement the TTR thyroxine binding site. A small library of these compounds was therefore prepared by dehydrocyclization of N-acyl amino-hydroxybenzoic acids as illustrated in Scheme 1. Reagents: (a) ArCOCl, THF, pyridine (Ar = Phenyl, 3,5-Difluorophenyl, 2,6-Difluorophenyl, 3,5-Dichlorophenyl, 2,6-Dichlorophenyl, 2-(Trifluoromethyl)phenyl, and 3-(Trifluoromethyl)phenyl); (b) TsOH*H2O, refluxing xylenes; (c) TMSCHN2, benzene, MeOH; (d) LiOH, THF, MeOH, H2O (8-27% yield over 4 steps). The benzoxazoles were evaluated using a series of analyses of increasing stringency. WT TTR (3.6 μM) was incubated for 30 min (pH 7, 37 °C) with a test compound (7.2 μM). Since at least one molecule ofthe test compound must bind to each molecule of TTR tetramer to be able to stabilize it, a test compound concentration of 7.2 μM is only twice the minimum effective concentration. The pH was then adjusted to 4.4, the optimal pH for fibrilization. The amount of amyloid formed after 72 h (37 °C) in the presence ofthe test compound was determined by turbidity at 400 nm and is expressed as % fibril formation (ff), 100%) being the amount formed by TTR alone. Ofthe 28 compounds tested, 11 reduced fibril formation to negligible levels (jf< 10%; FIG. 7). The 11 most active compounds were then evaluated for their ability to bind selectively to TTR over, all other proteins in blood. Human blood plasma (TTR cone. 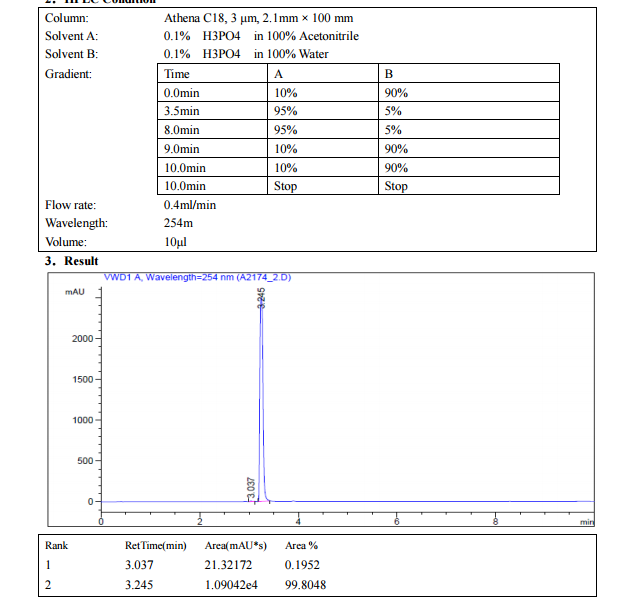 3.6 -5.4 μM) was incubated for 24 h with the test compound (10.8 μM) at 37 °C. The TTR and any bound inhibitor were immunoprecipitated using a sepharose-bound polyclonal TTR antibody. The TTR with or without inhibitor bound was liberated from the resin at high pH, and the inhibitor: TTR stoichiometry was ascertained by HPLC analysis (FIG. 8). Benzoxazoles with carboxylic acids in the 5- or 6-position, and 2,6-dichlorophenyl (13, 20) or 2-trifluoromethylphenyl (11, 18) substituents at the 2-position displayed the highest binding stoichiometries. In particular, 20 exhibited excellent inhibitory activity and binding selectivity. Hence, its mechanism of action was characterized further. amyloidogenesis inhibitors. For the sedimentation velocity experiments, TTR (3.6 μM) was incubated with 20 (3.6 μM, 7.2 μM, 36 μM) under optimal fibrilization conditions (72 h, pH 4.4, 37 °C). The tetramer (55 kDa) was the only detectable species in solution with 20 at 7.2 or 36 μM. Some large aggregates formed with 20 at 3.6 μM, but the TTR remaining in solution was tetrameric. T119M subunit inclusion and small molecule binding both prevent TTR amyloid formation by raising the activation barrier for tetramer dissociation. An inhibitor’s ability to do this is most rigorously tested by measuring its efficacy at slowing tetramer dissociation in 6 M urea, a severe denaturation stress. Thus, the rates of TTR tetramer dissociation in 6 M urea in the presence and absence of 20, 21 or 27 were compared (FIG. 9). TTR (1.8 μM) was completely denatured after 168 h in 6 M urea. In contrast, 20 at 3.6 μM prevented tetramer dissociation for at least 168 h (> 3 the half-life of TTR in human plasma). With an equimolar amount of 20, only 27% of TTR denatured in 168 h. Compound 27 (3.6 μM) was much less able to prevent tetramer dissociation (90% unfolding after 168 h), even though it was active in the fibril formation assay. Compound 21 did not hinder the dissociation of TTR at all. These results show that inhibitor binding to TTR is necessary but not sufficient to kinetically stabilize the TTR tetramer under strongly denaturing conditions; it is also important that the dissociation constants be very low (or that the off rates be very slow). Also, the display of functional groups on 20 is apparently optimal for stabilizing the TTR tetramer; moving the carboxylic acid from C(6) to C(7), as in 27, or removing the chlorines, as in 21, severely diminishes its activity. The role ofthe substituents in 20 is evident from its co-crystal stracture with TTR (FIG. 10). Compound 20 orients its two chlorine atoms near halogen binding pockets 2 and 2′ (so-called because they are occupied by iodines when thyroxine binds to TTR). The 2,6 substitution pattern on the phenyl ring forces the benzoxazole and phenyl rings out of planarity, optimally positioning the carboxylic acid on the benzoxazole to hydrogen bond to the ε-NH3+ groups of Lys 15/15′. Hydrophobic interactions between the aromatic rings of 20 and the side chains of Leu 17, Leu 110, Ser 117, and Val 121 contribute additional binding energy. 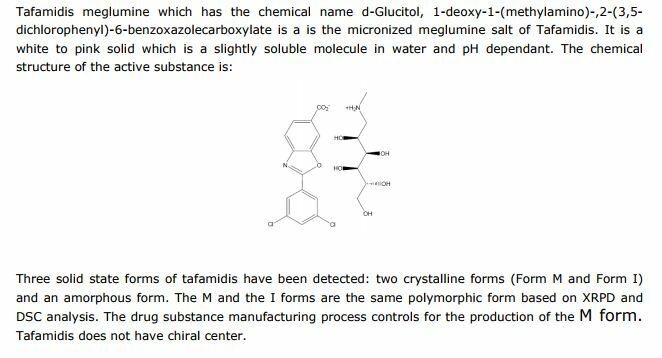 Novel crystalline forms of tafamidis methylglucamine (designated as Form E), processes for their preparation and compositions comprising them are claimed. Also claimed is their use for treating familial amyloid neuropathy. Represents first PCT filing from Crystal Pharmatech and the inventors on this API. m.p. = 200.4–202.7 °C; Rf = 0.37 (petroleum ether/ethyl acetate/acetic acid = 6:1:0.01). 13C NMR (DMSOd6, 100 MHz) (ppm) 167.2, 162.1, 150.1, 145.0, 137.8, 133.7, 131.4, 128.6, 126.8, 124.3, 120.5, 112.6. Data was consistent with that reported in the literature. Yamamoto, T.; Muto, K.; Komiyama, M.; Canivet, J.; Yamaguchi, J.; Itami, K. Chem. Eur. J. 2011, 17, 10113. Proc Natl Acad Sci U S A. 2012 Jun 12; 109(24): 9629–9634. The transthyretin amyloidoses (ATTR) are invariably fatal diseases characterized by progressive neuropathy and/or cardiomyopathy. ATTR are caused by aggregation of transthyretin (TTR), a natively tetrameric protein involved in the transport of thyroxine and the vitamin A–retinol-binding protein complex. Mutations within TTR that cause autosomal dominant forms of disease facilitate tetramer dissociation, monomer misfolding, and aggregation, although wild-type TTR can also form amyloid fibrils in elderly patients. Because tetramer dissociation is the rate-limiting step in TTR amyloidogenesis, targeted therapies have focused on small molecules that kinetically stabilize the tetramer, inhibiting TTR amyloid fibril formation. One such compound, tafamidis meglumine (Fx-1006A), has recently completed Phase II/III trials for the treatment of Transthyretin Type Familial Amyloid Polyneuropathy (TTR-FAP) and demonstrated a slowing of disease progression in patients heterozygous for the V30M TTR mutation. Herein we describe the molecular and structural basis of TTR tetramer stabilization by tafamidis. Tafamidis binds selectively and with negative cooperativity (Kds ∼2 nM and ∼200 nM) to the two normally unoccupied thyroxine-binding sites of the tetramer, and kinetically stabilizes TTR. Patient-derived amyloidogenic variants of TTR, including kinetically and thermodynamically less stable mutants, are also stabilized by tafamidis binding. The crystal structure of tafamidis-bound TTR suggests that binding stabilizes the weaker dimer-dimer interface against dissociation, the rate-limiting step of amyloidogenesis. 4-Amino-3-hydroxybenzoic acid (AHBA) is reacted with HCl (3 to 6 M equivalents) in methanol (8 to 9 L/kg). Methyl t-butyl ether (TBME) (9 to 11 L/kg) is then added to the reaction mixture. The product, methyl 4-amino-3-hydroxybenzoate hydrochloride salt, is isolated by filtration and then reacted with 3,5-dichlorobenzoyl chloride (0.95 to 1.05 M equivalents) in the presence of pyridine (2.0 to 2.5 M equivalents) in dichloromethane (DCM), (8 to 9 L/kg) as a solvent. After the distillation of DCM, acetone and water are added to the reaction mixture, producing methyl 4-(3,5-dichlorobenzoylamino)-3- hydroxy-benzoate. This is recovered by filtration and reacted with p-toluenesulfonic acid monohydrate (0.149 to 0.151 M equivalents) in toluene (12 to 18 L/kg) at reflux with water trap. Treatment with charcoal is then performed. After the distillation of toluene, acetone (4-6 L/kg) is added. 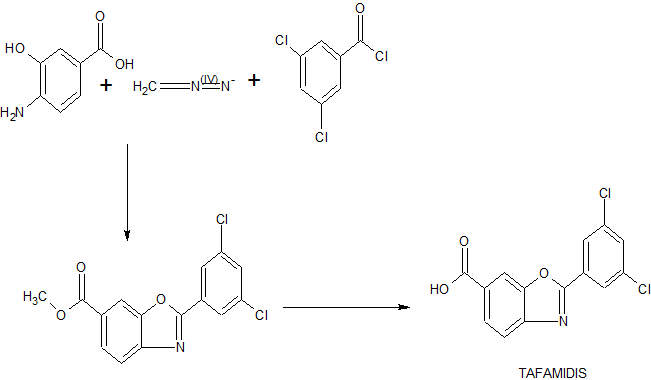 The product, methyl 2-(3,5-dichlorophenyl)-benzoxazole-6- carboxylate, is isolated by filtration and then reacted with LiOH (1.25 to 1.29 M equivalents) in the presence of tetrahydrofuran (THF) (7.8 to 8.2 L/kg) and water (7.8 to 8.2 L/kg) at between 40 and 45 °C. The pH of the reaction mixture is adjusted with aqueous HCl to yield 2-(3,5-dichloro-phenyl)-benzoxazole-6-carboxylic acid, the free acid of tafamidis. This is converted to the meglumine salt by reacting with N-methyl-Dglucamine (0.95 to 1.05 M equivalents) in a mixture of water (4.95 to 5.05 L/kg)/isopropyl alcohol (19.75 to 20.25 L/kg) at 65-70 °C. Tafamidis meglumine (dglucitol, 1-deoxy-1-(methylamino)-,2-(3,5-dichlorophenyl)-6-benzoxazole carboxylate) is then isolated by filtration. 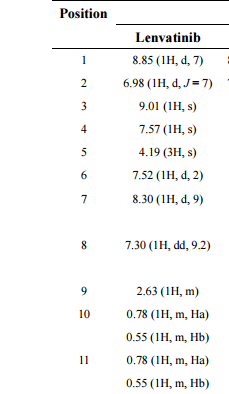 2 The following fragments were identified from electrospray ionization mass spectra acquired in positive-ion mode: meglumine M+ (C7H18NO5+, m/z = 196.13), M (carboxylate form) +2H (C14H6Cl2NO3, m/z = 308.13), M (salt) + H (C21H24Cl2N2O8, m/z = 504.26). 1 H-nuclear magnetic resonance spectra were acquired on a 700 MHz Bruker AVANCE II spectrometer in acetone:D2O (~8:2). Data were reported as chemical shift in ppm (δ), multiplicity (s = singlet, dd = double of doublets, m = multiplet), coupling constant (J Hz), relative integral and assignment: δ = 8.14 (m, JH2-H5 = 0.6 and JH2-H6 = 1.5, 1H, H2), 8.02 (dd, JH9-H11 = 1.9 and JH13-H11 = 1.9, 2H, H9 and H13), 7.97 (dd, JH6-H5 = 8.25, 1H, H6), 7.67 (dd, JH5-H2 = 0.6 and JH5-H6 = 8.25, 1H, H5), 7.58 (m, JH11-H9 = 1.9 and JH11-H13 = 1.9, 1H, H11), 4.08 (m, JH16-H17 = 4.9, 1H, H16), 3.79 (dd, JH17-H18 = 2.2, 1H, H17), 3.73 (dd, JH19-H20 = 3.2, 1H, H20), 3.69 (m, JH19-H20 = 3.2, 1H, H19), 3.61 (m, JH18-H19 = 12.25, 1H, H18), 3.58 (m, JH19-H20′ = 5.8 and JH20-H20′ = 11.7, 1H, H20′ ), 3.19 (m, JH15-H15′ = 12.9 and JH15′-H16 = 9.25 and JH15-H16 = 3.5, 2H, H15). A mixture of 4-amino-3-hydroxybenzoic acid (1.53 g, 10 mmol) and trimethyl orthofomate (3 mL) was heated at 100 ºC for 5 h. After cooling to room temperature, trimethyl orthofomate was removed under reduced pressure. To a solution of benzoxazole 6-carboxylic acid in CH2Cl2 (10 mL) were added DMF (0.1 mL) and oxalyl chloride (1.8 mL, 20 mmol) and the resultant mixture was stirred at room temperature for 12 h. After cooling to room temperature, DMF and oxalyl chloride were removed under reduced pressure to yield the corresponding acid chloride as a solid. Thus-generated acid chloride and morpholine (2.2 mL) were stirred at room temperature for 3 h. After removing solvents under reduced pressure, the mixture was treated with saturated aqueous sodium bicarbonate (20 mL) and ethyl acetate (20 mL). The layers were separated, and the aqueous layer was extracted with ethyl acetate (2 × 20 mL). The combined organic layer was washed with brine (20 mL), dried with anhydrous magnesium sulfate, and the solvent removed under reduced pressure. Purification of the resulting oil by flash column chromatography on silica (5% methanol in CHCl3 as eluent) afforded heteroarene 8 (1.30 g, 56%) as a white solid. Rf = 0.47 (MeOH/CHCl3 = 1:20). 1 H NMR (600 MHz, CDCl3) δ 8.23 (s, 1H), 7.83 (d, J = 8.3 Hz, 1H), 7.71 (s, 1H) 7.44 (d, J = 7.6 Hz, 1H), 4.00–3.25 (br, 8H). 13C NMR (150 MHz, CDCl3) δ 169.52, 153.87, 149.67, 141.24, 132.90, 123.79, 120.76, 110.48, 66.81. HRMS (DART) m/z calcd for C12H13N2O3 [MH]+ : 233.0926, found 233.0926. To a 20-mL glass vessel equipped with J. Young® O-ring tap containing a magnetic stirring bar were added Ni(cod)2 (13.9 mg, 0.05 mmol), 2,2’-bipyridyl (7.8 mg, 0.05 mmol), LiOt-Bu (60 mg, 0.75 mmol), 8 (174.2 mg, 0.5 mmol), 3,5-dichloroiodobenzene (9: 203.9 mg, 0.75 mmol), followed by dry 1,2-dimethoxyethane (2.0 mL). The vessel was sealed with an O-ring tap and then heated at 100 °C in an 8-well reaction block with stirring for 24 h. After cooling the reaction mixture to room temperature, the mixture was passed through a short silica gel pad (EtOAc). The filtrate was concentrated and the residue was subjected to preparative thin-layer chromatography (5% methanol in CHCl3 as eluent) to afford SI-2 (139.6 mg, 74 %) as a white foam. Rf = 0.70 (MeOH/CHCl3 = 1:20). 1 H NMR (600 MHz, CDCl3) δ 8.16 (d, J = 2.0 Hz, 2H), 7.82 (d, J = 7.6 Hz, 1H), 7.70 (s, 1H), 7.55 (d, J = 2.0 Hz, 1H), 7.45 (d, J = 7.6 Hz, 1H), 4.00–3.25 (br, 8H). 13C NMR (150 MHz, CDCl3) δ 169.38, 161.78, 150.40, 142.90, 135.82, 132.95, 131.61, 129.26, 125.91, 124.23, 120.41, 110.26, 66.77. HRMS (DART) m/z calcd for C18H15Cl2N2O3 [MH]+ : 377.0460 found 377.0465. HF·pyridine (0.5 mL) was added to a stirred solution of SI-2 (32 mg, 0.09 mmol) in THF (0.5 mL) at 70 ºC for 12 h. After cooling the reaction mixture to room temperature, the mixuture was diluted with EtOAc and washed sequentially with sat.NaHCO3, 2N HCl and brine. The organic layer was concentrated and the residue was subjected to preparative thin-layer chromatography (1% acetic acid, 5% methanol in CHCl3 as eluent) to afford tafamidis (24.7 mg, 94%) as a white foam. 1 H NMR (600 MHz, DMSO-d6) δ 8.23 (s, 1H), 8.08 (d, J = 1.4 Hz, 2H), 8.00 (d, J = 8.3 Hz, 1H), 7.88 (m, 2H). 13C NMR (150 MHz, DMSO-d6) δ 166.6, 162.0, 150.0, 144.6, 135.1, 131.7, 129.1, 128.7, 126.5, 125.8, 120.0, 112.2. HRMS (DART) m/z calcd for C14H8Cl2NO3 [MH]+ : 307.9881, found 307.9881. Jump up^ Bulawa, C.E. ; Connelly, S.; DeVit, M.; Wang, L. Weigel, C.;Fleming, J. Packman, J.; Powers, E.T. ; Wiseman, R.L. ; Foss, T.R. ; Wilson, I.A. ; Kelly, J.W. ; Labaudiniere, R. “Tafamidis, A Potent and Selective Transthyretin Kinetic Stabilizer That Inhibits the Amyloid Cascade”. Proc. Natl. Acad. Sci., 2012 109, 9629-9634. Jump up^ Ando, Y., and Suhr, O.B. (1998). Autonomic dysfunction in familial amyloidotic polyneuropathy (FAP). Amyloid, 5, 288-300. Jump up^ Benson, M.D. (1989). “Familial Amyloidotic polyneuropathy”. Trends in Neurosciences, 12.3, 88-92, PMID 2469222, doi:10.1016/0166-2236(89)90162-8. Jump up^ Coelho, T.; Maia, L.F.; Martins da Silva, A.; Cruz, M.W. ; Planté-Bordeneuve, V.; Lozeron, P.; Suhr, O.B. ; Campistol, J.M. ; Conceiçao, I.; Schmidt, H.; Trigo, P. Kelly, J.W. ; Labaudiniere, R.; Chan, J., Packman, J.; Wilson, A.; Grogan, D.R. “Tafamidis for transthyretin familial amyloid polyneuropathy: a randomized, controlled trial”. Neurology, 2012, 79, 785-792. ^ Jump up to:a b Coelho, T.; Maia, L.F.; Martins da Silva, A.; Cruz, M.W. ; Planté-Bordeneuve, V.; Suhr, O.B. ; Conceiçao, I.; Schmidt, H. H. J.; Trigo, P. Kelly, J.W. ; Labaudiniere, R.; Chan, J., Packman, J.; Grogan, D.R. “Long-term Effects of Tafamidis for the Treatment of Transthyretin Familial Amyloid Polyneuropathy”. J. Neurology, 2013 260, 2802-2814. Jump up^ Ando, Y.; Sekijima, Y.; Obayashi, K.; Yamashita, T.; Ueda, M.; Misumi, Y.; Morita, H.; Machii, K; Ohta, M.; Takata, A; Ikeda, S-I. “Effects of tafamidis treatment on transthyretin (TTR) stabilization, efficacy, and safety in Japanese patients with familial amyloid polyneuropathy (TTR-FAP) with Val30Met and non-Varl30Met: A phase III, open-label study”. J. Neur. Sci., 2016 362, 266-271, doi:10.1016/j.jns.2016.01.046. Jump up^ Andrade, C. (1952). “A peculiar form of peripheral neuropathy; familiar atypical generalized amyloidosis with special involvement of the peripheral nerves”. Brain: a Journal of Neurology, 75, 408-427. Jump up^ Coelho, T. (1996). “Familial amyloid polyneuropathy: new developments in genetics and treatment”. Current Opinion in Neurology, 9, 355-359. Jump up^ Razavi, H.; Palaninathan, S.K. Powers, E.T. ; Wiseman, R.L. ; Purkey, H.E. ; Mohamadmohaideen, N.N. ; Deechongkit, S.; Chiang, K.P. ; Dendle, M.T.A. ; Sacchettini, J.C.; Kelly, J.W. “Benzoxazoles as Transthyretin Amyloid Fibril Inhibitors: Synthesis, Evaluation and Mechanism of Action”. Angew. Chem. Int. Ed., 2003, 42, 2758-2761. Jump up^ Connelly, S., Choi, S., Johnson, S.M., Kelly, J.W., and Wilson, I.A. (2010). “Structure-based design of kinetic stabilizers that ameliorate the transthyretin amyloidoses”. Current Opinion in Structural Biology, 20, 54-62. Jump up^ Westermark, P., Sletten, K., Johansson, B., and Cornwell, G.G., 3rd (1990). “Fibril in senile systemic amyloidosis is derived from normal transthyretin”. Proc Natl Acad Sci U S A, 87, 2843-2845. Jump up^ Sousa, M.M., Cardoso, I., Fernandes, R., Guimaraes, A., and Saraiva, M.J. (2001). “Deposition of transthyretin in early stages of familial amyloidotic polyneuropathy: evidence for toxicity of nonfibrillar aggregates”. The American Journal of Pathology, 159, 1993-2000. Jump up^ Colon, W., and Kelly, J.W. (1992). “Partial denaturation of transthyretin is sufficient for amyloid fibril formation in vitro”. Biochemistry 31, 8654-8660. Jump up^ Jacobson, D.R., Pastore, R.D., Yaghoubian, R., Kane, I., Gallo, G., Buck, F.S., and Buxbaum, J.N. (1997). “Variant-sequence transthyretin (isoleucine 122) in late-onset cardiac amyloidosis in black Americans”. The New England Journal of Medicine, 336, 466-473. Jump up^ Maurer, M.S. ; Grogan, D.R. ; Judge, D.P. ; Mundayat, R.; Lombardo, I.; Quyyumi, A.A.; Aarts, J.; Falk, R.H. “Tafamidis in transthyretin amyloid cardiomyopathy: effects on transthyretin stabilization and clinical outcomes.” Circ. Heart. Fail. 2015 8, 519-526. Secukinumab is a human monoclonal antibody designed for the treatments of uveitis, rheumatoid arthritis, ankylosing spondylitis, and psoriasis. It targets member A from the cytokine family of interleukin 17. At present, Novartis Pharma AG, the drug’s developer, plans to market it under the trade name “Cosentyx.”  It is highly specific to the human immunoglobulin G1k (IgG1k) subclass. 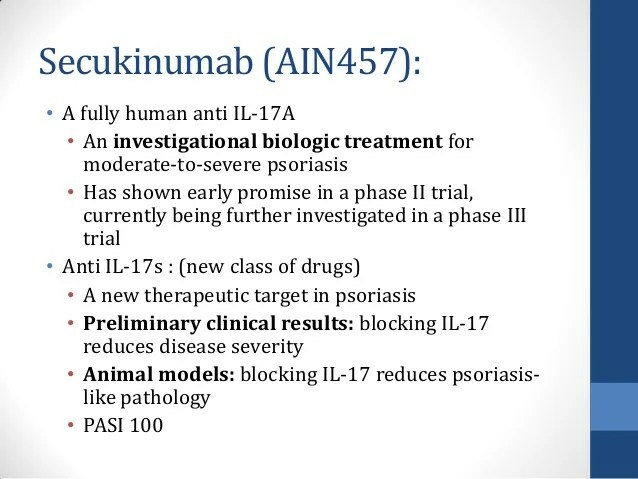 In July 2014 secukinumab established superiority to placebo and to etanercept for the treatment of chronic plaque psoriasis in Phase III clinical trials. In October 2014, the FDA Dermatologic and Ophthalmic Drugs Advisory Committee unanimously voted to recommend the drug for FDA approval, although this vote in and of itself does not constitute an approval. However, the FDA typically follows recommendations from these committees. In October 2014, Novartis announced that the drug had achieved a primary clinical endpoint in two phase III clinical trials for ankylosing spondylitis. As of 28 October, the relevant FDA committee had not yet responded to these results. In early November 2014, Novartis also released the results of a Phase 3 study on Psoriatic Arthritis that yielded very promising results. Although the drug was originally intended to treat rheumatoid arthritis, phase II clinical trials for this condition yielded disappointing results. Similarly, while patients in a phase II clinical trial for [psoriatic arthritis] did show improvement over placebo, the improvement did not meet adequate endpoints and Novartis is considering whether to do more research for this condition. 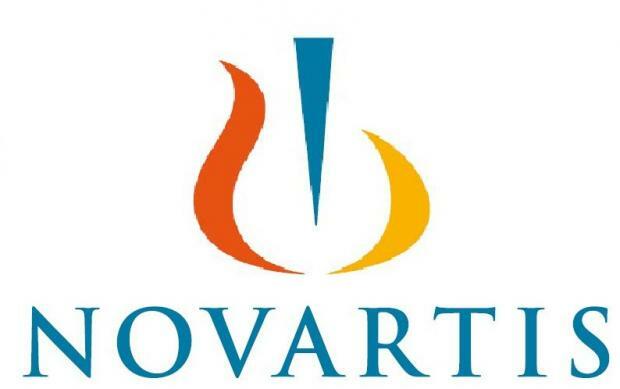 Novartis has said that it is targeting approval and release in early 2015 for plaque psoriasis and ankyloding spondylitis indications. It is also in a phase II clinical trial for Multiple Sclerosis  as it has exhibited efficacy in treating experimental autoimmune encephalomyelitis (EAE), an animal model of MS.
“Statement On A Nonproprietary Name Adopted By The USAN Council: Secukinumab”. American Medical Association. Langley RG, Elewski BE, Mark Lebwohl M, et al., for the ERASURE and FIXTURE Study Groups (July 24, 2014). 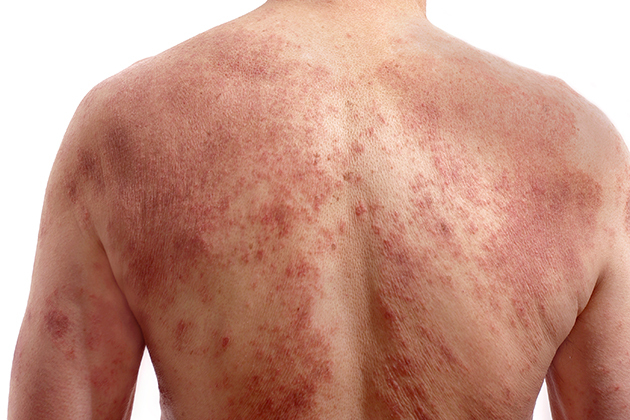 “Secukinumab in Plaque Psoriasis — Results of Two Phase 3 Trials”. N Engl J Med 371: 326–338. doi:10.1056/NEJMoa1314258. Alnylam Pharmaceuticals, Inc., a leading RNAi therapeutics company, announced today positive top-line results from its ongoing Phase 1 trial of ALN-AT3, a subcutaneously administered RNAi therapeutic targeting antithrombin (AT) in development for the treatment of hemophilia and rare bleeding disorders (RBD). These top-line results are being presented at the World Federation of Hemophilia (WFH) 2014 World Congress being held May 11 – 15, 2014 in Melbourne, Australia. In Part A of the Phase 1 study, human volunteer subjects received a single subcutaneous dose of ALN-AT3 and, per protocol, the maximum allowable level of AT knockdown was set at 40%. Initial results show that a single, low subcutaneous dose of ALN-AT3 at 0.03 mg/kg resulted in an up to 28-32% knockdown of AT at nadir that was statistically significant relative to placebo (p < 0.01 by ANOVA). This led to a statistically significant (p < 0.01) increase in peak thrombin generation, that was temporally associated and consistent with the degree of AT knockdown. ALN-AT3 was found to be well tolerated with no significant adverse events reported. With these data, the company has transitioned to the Multiple Ascending Dose (MAD) Part B of the study in moderate-to-severe hemophilia subjects. Consistent with previous guidance, the company plans to present initial clinical results from the Phase 1 study, including results in hemophilia subjects, by the end of the year. These human study results are the first to be reported for Alnylam’s Enhanced Stabilization Chemistry (ESC)-GalNAc conjugate technology, which enables subcutaneous dosing with increased potency, durability, and a wide therapeutic index. Further, these initial clinical results demonstrate a greater than 50-fold potency improvement with ESC-GalNAc conjugates relative to standard template chemistry conjugates. The ongoing Phase 1 trial of ALN-AT3 is being conducted in the U.K. as a single- and multi-dose, dose-escalation study comprised of two parts. Part A – which has now been completed – was a randomized, single-blind, placebo-controlled, single-dose, dose-escalation study, intended to enroll up to 24 healthy volunteer subjects. The primary objective of this part of the study was to evaluate the safety and tolerability of a single dose of ALN-AT3, with the potential secondarily to show changes in AT plasma levels at sub-pharmacologic doses. This part of the study evaluated only low doses of ALN-AT3, with a dose-escalation stopping rule at no more than a 40% level of AT knockdown. Based on the pharmacologic response achieved in this part of the study, only the lowest dose cohort (n=4; 3:1 randomization of ALN-AT3:placebo) was enrolled. Part B of the study is an open-label, multi-dose, dose-escalation study enrolling up to 18 people with moderate-to-severe hemophilia A or B. The primary objective of this part of the study is to evaluate the safety and tolerability of multiple doses, specifically three doses, of subcutaneously administered ALN-AT3 in hemophilia subjects. Secondary objectives include assessment of clinical activity as determined by knockdown of circulating AT levels and increase in thrombin generation at pharmacologic doses of ALN-AT3; thrombin generation is known to be a biomarker for bleeding frequency and severity in people with hemophilia (Dargaud, et al., Thromb Haemost; 93, 475-480 (2005)). In this part of the study, dose-escalation will be allowed to proceed beyond the 40% AT knockdown level. In addition to reporting positive top-line results from the Phase 1 trial with ALN-AT3, Alnylam presented new pre-clinical data with ALN-AT3. First, in a saphenous vein bleeding model performed in hemophilia A (HA) mice, a single subcutaneous dose of ALN-AT3 that resulted in an approximately 70% AT knockdown led to a statistically significant (p < 0.0001) improvement in hemostasis compared to saline-treated HA mice. The improved hemostasis was comparable to that observed in HA mice receiving recombinant factor VIII. These are the first results in what can be considered a genuine bleeding model showing that AT knockdown with ALN-AT3 can control bleeding. Second, a number of in vitro studies were performed in plasma from hemophilia donors. Stepwise AT depletion in these plasma samples was shown to achieve stepwise increases in thrombin generation. Furthermore, it was shown that a 40-60% reduction of AT resulted in peak thrombin levels equivalent to those achieved with 10-15% levels of factor VIII in HA plasma and factor IX in hemophilia B (HB) plasma. These levels of factor VIII or IX are known to significantly reduce bleeding in hemophilia subjects. As such, these results support the hypothesis that a 40-60% knockdown of AT with ALN-AT3 could be fully prophylactic. Finally, a modified Activated Partial Thromboplastin Time (APTT) assay – an ex vivomeasure of blood coagulation that is significantly prolonged in hemophilia – was developed, demonstrating sensitivity to AT levels. Specifically, depletion of AT in HA plasma led to a shortening of modified APTT. This modified APTT assay can be used to routinely and simply monitor functional activity of AT knockdown in further ALN-AT3 clinical studies. Hemophilias are hereditary disorders caused by genetic deficiencies of various blood clotting factors, resulting in recurrent bleeds into joints, muscles, and other major internal organs. Hemophilia A is defined by loss-of-function mutations in Factor VIII, and there are greater than 40,000 registered patients in the U.S. and E.U. Hemophilia B, defined by loss-of-function mutations in Factor IX, affects greater than 9,500 registered patients in the U.S. and E.U. Other Rare Bleeding Disorders (RBD) are defined by congenital deficiencies of other blood coagulation factors, including Factors II, V, VII, X, and XI, and there are about 1,000 patients worldwide with a severe bleeding phenotype. Standard treatment for hemophilia patients involves replacement of the missing clotting factor either as prophylaxis or on-demand therapy. However, as many as one third of people with severe hemophilia A will develop an antibody to their replacement factor – a very serious complication; these ‘inhibitor’ patients become refractory to standard replacement therapy. There exists a small subset of hemophilia patients who have co-inherited a prothrombotic mutation, such as Factor V Leiden, antithrombin deficiency, protein C deficiency, and prothrombin G20210A. Hemophilia patients that have co-inherited these prothrombotic mutations are characterized as having a later onset of disease, lower risk of bleeding, and reduced requirements for Factor VIII or Factor IX treatment as part of their disease management. There exists a significant need for novel therapeutics to treat hemophilia patients. Antithrombin (AT, also known as “antithrombin III” and “SERPINC1″) is a liver expressed plasma protein and member of the “serpin” family of proteins that acts as an important endogenous anticoagulant by inactivating Factor Xa and thrombin. AT plays a key role in normal hemostasis, which has evolved to balance the need to control blood loss through clotting with the need to prevent pathologic thrombosis through anticoagulation. In hemophilia, the loss of certain procoagulant factors (Factor VIII and Factor IX, in the case of hemophilia A and B, respectively) results in an imbalance of the hemostatic system toward a bleeding phenotype. In contrast, in thrombophilia (e.g., Factor V Leiden, protein C deficiency, antithrombin deficiency, amongst others), certain mutations result in an imbalance in the hemostatic system toward a thrombotic phenotype. Since co-inheritance of prothrombotic mutations may ameliorate the clinical phenotype in hemophilia, inhibition of AT defines a novel strategy for improving hemostasis. GalNAc-siRNA conjugates are a proprietary Alnylam delivery platform and are designed to achieve targeted delivery of RNAi therapeutics to hepatocytes through uptake by the asialoglycoprotein receptor. Alnylam’s Enhanced Stabilization Chemistry (ESC)-GalNAc-conjugate technology enables subcutaneous dosing with increased potency and durability, and a wide therapeutic index. This delivery platform is being employed in several of Alnylam’s genetic medicine programs, including programs in clinical development. Alnylam is a biopharmaceutical company developing novel therapeutics based on RNA interference, or RNAi. The company is leading the translation of RNAi as a new class of innovative medicines with a core focus on RNAi therapeutics as genetic medicines, including programs as part of the company’s “Alnylam 5x15TM” product strategy. Alnylam’s genetic medicine programs are RNAi therapeutics directed toward genetically defined targets for the treatment of serious, life-threatening diseases with limited treatment options for patients and their caregivers. These include: patisiran (ALN-TTR02), an intravenously delivered RNAi therapeutic targeting transthyretin (TTR) for the treatment of TTR-mediated amyloidosis (ATTR) in patients with familial amyloidotic polyneuropathy (FAP); ALN-TTRsc, a subcutaneously delivered RNAi therapeutic targeting TTR for the treatment of ATTR in patients with TTR cardiac amyloidosis, including familial amyloidotic cardiomyopathy (FAC) and senile systemic amyloidosis (SSA); ALN-AT3, an RNAi therapeutic targeting antithrombin (AT) for the treatment of hemophilia and rare bleeding disorders (RBD); ALN-CC5, an RNAi therapeutic targeting complement component C5 for the treatment of complement-mediated diseases; ALN-AS1, an RNAi therapeutic targeting aminolevulinate synthase-1 (ALAS-1) for the treatment of hepatic porphyrias including acute intermittent porphyria (AIP); ALN-PCS, an RNAi therapeutic targeting PCSK9 for the treatment of hypercholesterolemia; ALN-AAT, an RNAi therapeutic targeting alpha-1 antitrypsin (AAT) for the treatment of AAT deficiency-associated liver disease; ALN-TMP, an RNAi therapeutic targeting TMPRSS6 for the treatment of beta-thalassemia and iron-overload disorders; ALN-ANG, an RNAi therapeutic targeting angiopoietin-like 3 (ANGPTL3) for the treatment of genetic forms of mixed hyperlipidemia and severe hypertriglyceridemia; ALN-AC3, an RNAi therapeutic targeting apolipoprotein C-III (apoCIII) for the treatment of hypertriglyceridemia; and other programs yet to be disclosed. As part of its “Alnylam 5×15” strategy, as updated in early 2014, the company expects to have six to seven genetic medicine product candidates in clinical development – including at least two programs in Phase 3 and five to six programs with human proof of concept – by the end of 2015. Alnylam is also developing ALN-HBV, an RNAi therapeutic targeting the hepatitis B virus (HBV) genome for the treatment of HBV infection. The company’s demonstrated commitment to RNAi therapeutics has enabled it to form major alliances with leading companies including Merck, Medtronic, Novartis, Biogen Idec, Roche, Takeda, Kyowa Hakko Kirin, Cubist, GlaxoSmithKline, Ascletis, Monsanto, The Medicines Company, and Genzyme, a Sanofi company. In March 2014, Alnylam acquired Sirna Therapeutics, a wholly owned subsidiary of Merck. In addition, Alnylam holds an equity position in Regulus Therapeutics Inc., a company focused on discovery, development, and commercialization of microRNA therapeutics. Alnylam scientists and collaborators have published their research on RNAi therapeutics in over 200 peer-reviewed papers, including many in the world’s top scientific journals such as Nature, Nature Medicine, Nature Biotechnology, Cell, the New England Journal of Medicine, and The Lancet. Founded in 2002, Alnylam maintains headquarters in Cambridge, Massachusetts. For more information, please visit www.alnylam.com. For the treatment of patients with progressive radioiodine-refractory, differentiated thyroid cancer (RR-DTC). European regulators have agreed to undertake an accelerated assessment of Eisai’s lenvatinib as a treatment for progressive radioiodine-refractory, differentiated thyroid cancer. The drug, which carries Orphan Status in the EU, is to be filed “imminently” and could become the first in a new class of tyrosine kinase inhibitors, the drugmaker said. 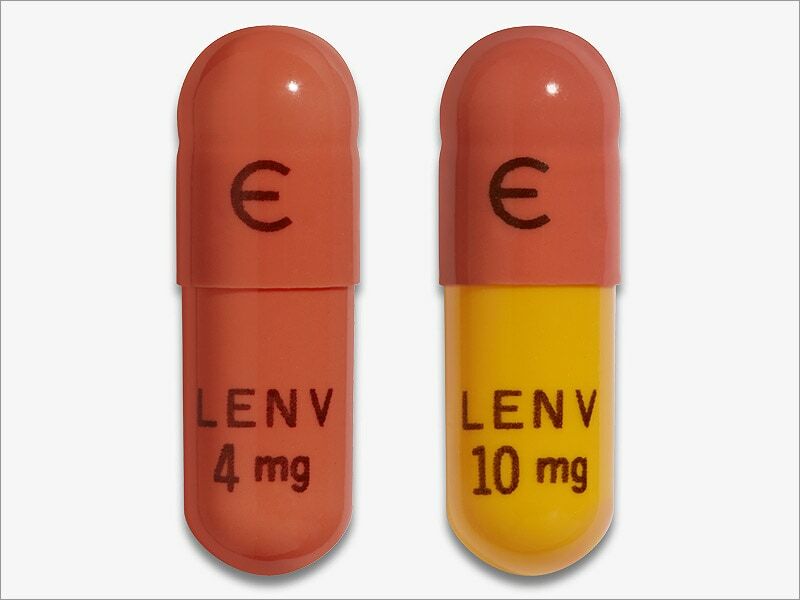 Lenvatinib was granted Orphan Drug Designation for thyroid cancer by the health authorities in Japan in 2012, and in Europe and the U.S in 2013. The first application for marketing authorization of lenvatinib in the world was submitted in Japan on June 2014. Eisai is planning to submit applications for marketing authorization in Europe and the U.S. in the second quarter of fiscal 2014. Lenvatinib is an oral multiple receptor tyrosine kinase (RTK) inhibitor with a novel binding mode that selectively inhibits the kinase activities of vascular endothelial growth factor receptors (VEGFR), in addition to other proangiogenic and oncogenic pathway-related RTKs including fibroblast growth factor receptors (FGFR), the platelet-derived growth factor (PDGF) receptor PDGFRalpha, KIT and RET that are involved in tumor proliferation. 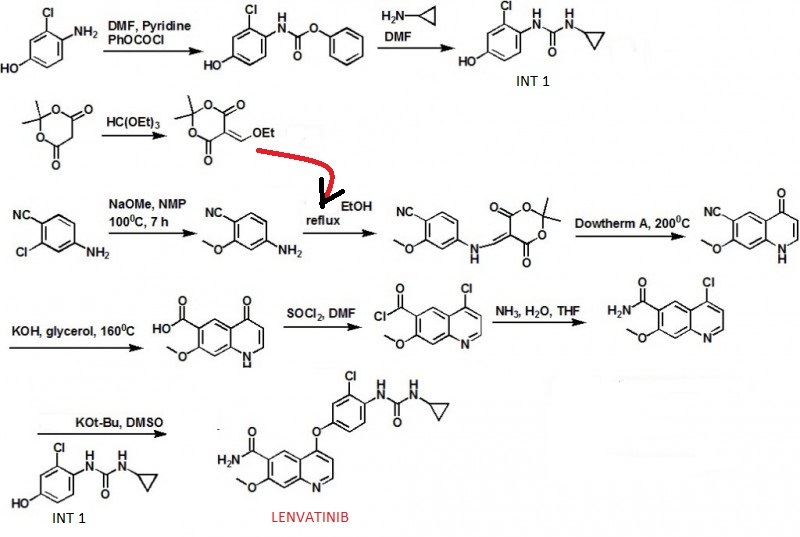 This potentially makes lenvatinib a first-in-class treatment, especially given that it simultaneously inhibits the kinase activities of FGFR as well as VEGFR. Lenvatinib (E7080) is a multi-kinase inhibitor that is being investigated for the treatment of various types of cancer by Eisai Co. It inhibits both VEGFR2 and VEGFR3 kinases. The substence was granted orphan drug status for the treatment of various types of thyroid cancer that do not respond toradioiodine; in the US and Japan in 2012 and in Europe in 2013 and is now approved for this use. Lenvatinib has had promising results from a phase I clinical trial in 2006 and is being tested in several phase II trials as of October 2011, for example against hepatocellular carcinoma. After a phase II trial testing the treatment of thyroid cancer has been completed with modestly encouraging results, the manufacturer launched a phase III trial in March 2011. The open-label, global, single-arm Phase II study of multi-targeted kinase inhibitor lenvatinib (E7080) in advanced radioiodine (RAI)-refractory differentiated thyroid cancer involved 58 patients with advanced RAI refractory DTC (papillary, follicular or Hurthle Cell) whose disease had progressed during the prior 12 months. (Disease progression was measured using Response Evaluation Criteria in Solid Tumors (RECIST).) The starting dose of lenvatinib was 24 mg once daily in repeated 28 day cycles until disease progression or development of unmanageable toxicities. Thyroid cancer refers to cancer that forms in the tissues of the thyroid gland, located at the base of the throat or near the trachea. It affects more women than men and usually occurs between the ages of 25 and 65. The most common types of thyroid cancer, papillary and follicular (including Hurthle Cell), are classified as differentiated thyroid cancer and account for 95 percent of all cases. While most of these are curable with surgery and radioactive iodine treatment, a small percentage of patients do not respond to therapy. 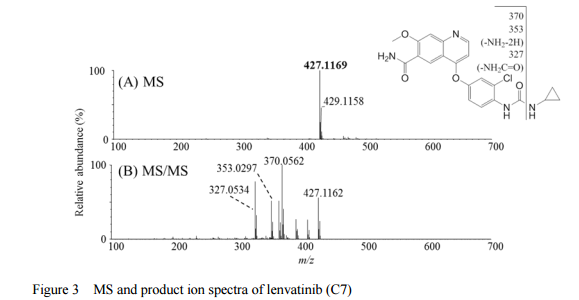 Lenvatinib is multi-targeted kinase inhibitor with a unique receptor tyrosine kinase inhibitory profile that was discovered and developed by the Discovery Research team of Eisai’s Oncology Unit using medicinal chemistry technology. As an anti-angiogenic agent, it inhibits tyrosine kinase of the VEGF (Vascular Endothelial Growth Factor) receptor, VEGFR2, and a number of other types of kinase involved in angiogenesis and tumor proliferation in balanced manner. It is a small molecular targeting drug that is currently being studied in a wide array of cancer types. 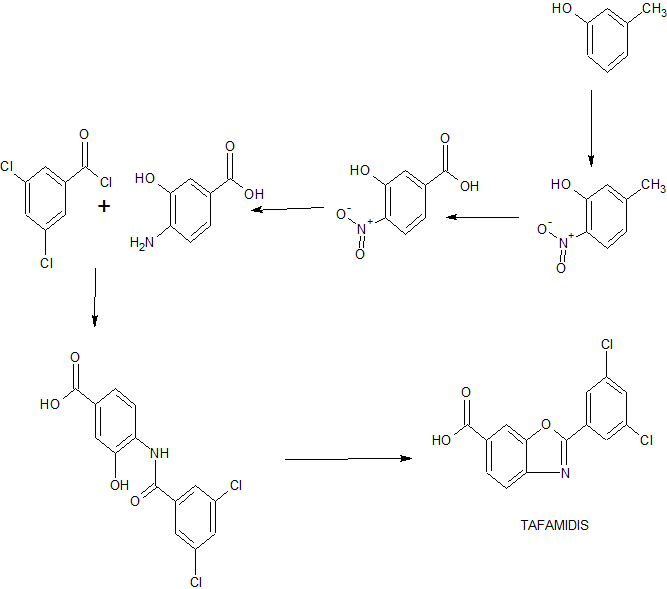 4-(3-chloro-4-(cyclopropylaminocarbonyl)aminophenoxy)-7-methoxy-6-quinolinecarboxamide (additional name: 4-[3-chloro-4-(N′-cyclopropylureido)phenoxy]-7-methoxyquinoline-6-carboxamide) is known to exhibit an excellent angiogenesis inhibition as a free-form product, as described in Example 368 of Patent Document 1. 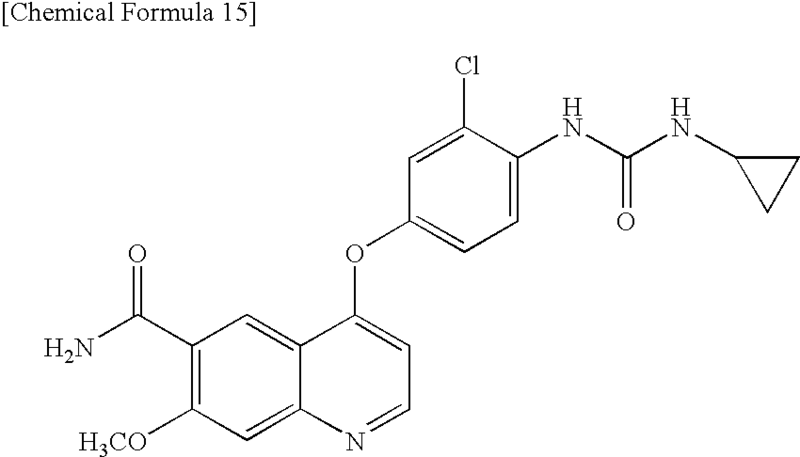 4-(3-chloro-4-(cyclopropylaminocarbonyl)aminophenoxy)-7-methoxy-6-quinolinecarboxamide is also known to exhibit a strong inhibitory action for c-Kit kinase (Non-Patent Document 1, Patent Document 2). 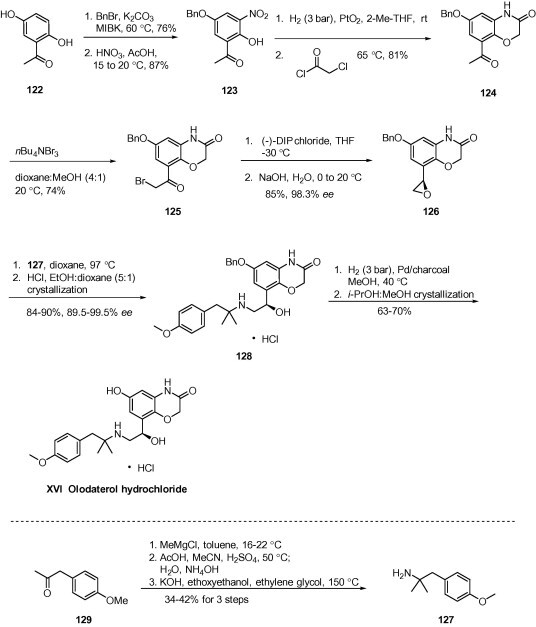 However, there has been a long-felt need for the provision of a c-Kit kinase inhibitor or angiogenesis inhibitor that has high usability as a medicament and superior characteristics in terms of physical properties and pharmacokinetics in comparison with the free-form product of 4-(3-chloro-4-(cyclopropylaminocarbonyl)aminophenoxy)-7-methoxy-6-quinolinecarboxamide. Examples will now be described to facilitate understanding of the invention, but the invention is not limited to these examples. After suspending 4-amino-3-chlorophenol (23.7 g) in N,N-dimethylformamide (100 mL) and adding pyridine (23.4 mL) while cooling on ice, phenyl chloroformate (23.2 ml) was added dropwise below 20° C. Stirring was performed at room temperature for 30 minutes, and then water (400 mL), ethyl acetate (300 mL) and 6N HCl (48 mL) were added, the mixture was stirred and the organic layer was separated. The organic layer was washed twice with 10% brine (200 mL), and dried over magnesium sulfate. The solvent was removed to give 46 g of the title compound as a solid. After dissolving phenyl N-(2-chloro-4-hydroxyphenyl)carbamate in N,N-dimethylformamide (100 mL), cyclopropylamine (22.7 mL) was added while cooling on ice and the mixture was stirred overnight at room temperature. Water (400 mL), ethyl acetate (300 mL) and 6N HCl (55 mL) were then added, the mixture was stirred and the organic layer was separated. The organic layer was washed twice with 10% brine (200 mL), and dried over magnesium sulfate. Prism crystals obtained by concentrating the solvent were filtered and washed with heptane to give 22.8 g of the title compound (77% yield from 4-amino-3-chlorophenol). To dimethylsulfoxide (20 mL) were added 7-methoxy-4-chloro-quinoline-6-carboxamide (0.983 g), 1-(2-chloro-4-hydroxyphenyl)-3-cyclopropylurea (1.13 g) and cesium carbonate (2.71 g), followed by heating and stirring at 70° C. for 23 hours. After the reaction mixture was allowed to cool down to room temperature, water (50 mL) was added, and the produced crystals were collected by filtration to give 1.56 g of the title compound (88% yield). In a reaction vessel were placed 7-methoxy-4-chloro-quinoline-6-carboxamide (5.00 kg, 21.13 mol), dimethylsulfoxide (55.05 kg), 1-(2-chloro-4-hydroxyphenyl)-3-cyclopropylurea (5.75 kg, 25.35 mol) and potassium t-butoxide (2.85 kg, 25.35 mol) in that order, under a nitrogen atmosphere. After stirring at 20° C. for 30 minutes, the temperature was raised to 65° C. over a period of 2.5 hours. After stirring at the same temperature for 19 hours, 33% (v/v) acetone water (5.0 L) and water (10.0 L) were added dropwise over a period of 3.5 hours. Upon completion of the dropwise addition, the mixture was stirred at 60° C. for 2 hours, and 33% (v/v) acetone water (20.0 L) and water (40.0 L) were added dropwise at 55° C. or higher over a period of 1 hour. After then stirring at 40° C. for 16 hours, the precipitated crystals were collected by filtration using a nitrogen pressure filter, and the crystals were washed with 33% (v/v) acetone water (33.3 L), water (66.7 L) and acetone (50.0 L) in that order. The obtained crystals were dried at 60° C. for 22 hours using a conical vacuum drier to give 7.78 kg of the title compound (96.3% yield). 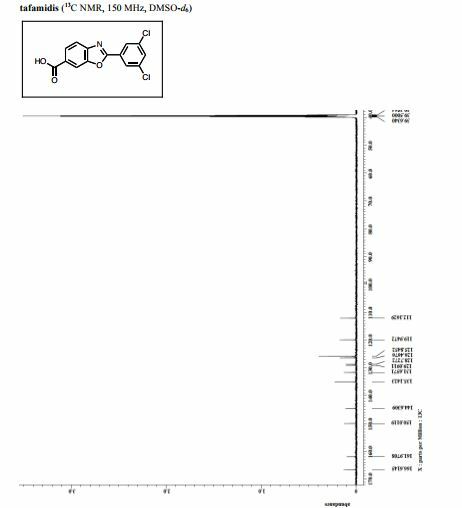 The title compound (22.4 mg, 0.052 mmol, 34.8%) was obtained as white crystals from phenyl N-(4-(6-carbamoyl-7-methoxy-4-quinolyl)oxy-2-chlorophenyl)carbamate (70 mg, 0.15 mmol) and cyclopropylamine, by the same procedure as in Example 11. 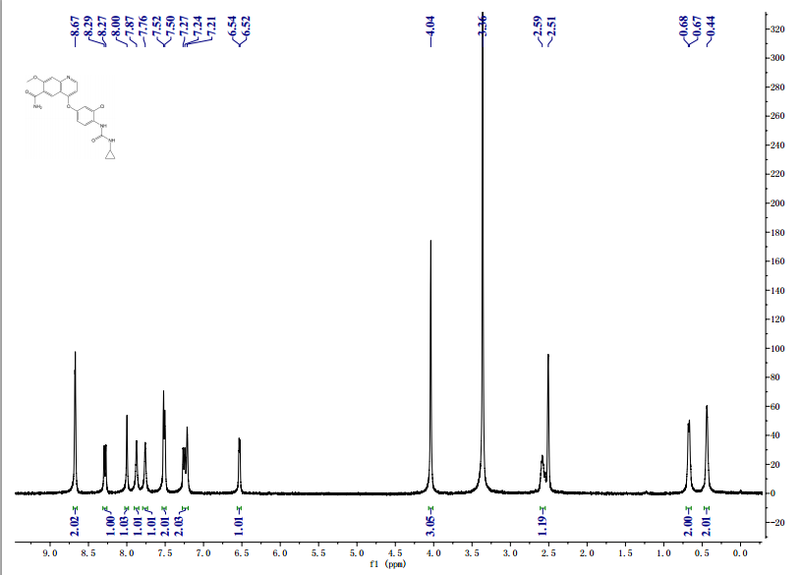 1H-NMR Spectrum (DMSO-d6) δ (ppm): 0.41 (2H, m), 0.66 (2H, m), 2.56 (1H, m), 4.01 (3H, s), 6.51 (1H, d, J=5.6 Hz), 7.18 (1H, d, J=2.8 Hz), 7.23 (1H, dd, J=2.8, 8.8 Hz), 7.48 (1H, d, J=2.8 Hz), 7.50 (1H, s), 7.72 (1H, s), 7.84 (1H, s), 7.97 (1H, s), 8.25 (1H, d, J=8.8 Hz), 8.64 (1H, s), 8.65 (1H, d, J=5.6 Hz). The starting material was synthesized in the following manner. The title compound (708 mg, 1.526 mmol, 87.4%) was obtained as light brown crystals from 4-(4-amino-3-chlorophenoxy)-7-methoxy-6-quinolinecarboxamide (600 mg, 1.745 mmol), by the same procedure as in Production Example 17. 1H-NMR Spectrum (CDCl3) δ (ppm): 4.14 (3H, s), 5.89 (1H, br), 6.50 (1H, d, J=5.6 Hz), 7.16 (2H, dd, J=2.4, 8.8 Hz), 7.22–7.30 (4H, m), 7.44 (2H, m), 7.55 (1H, s), 7.81 (1H, br), 8.31 (1H, d, J=8.8 Hz), 8.68 (1H, d, J=5.6 Hz), 9.27 (1H, s). 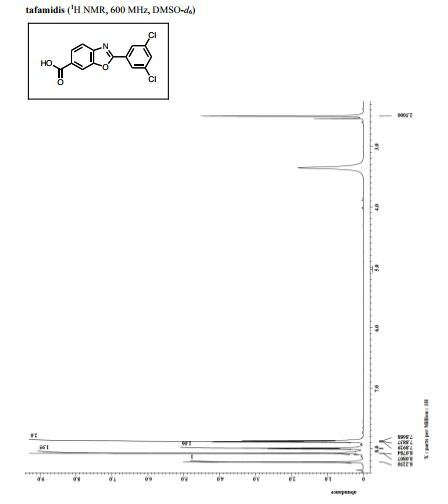 Phenyl N-(4-(6-carbamoyl-7-methoxy-4-quinolyl)oxy-2-chlorophenyl)carbamate (17.5 g, 37.7 mmol) disclosed in WO 02/32872 was dissolved in N,N-dimethylformamide (350 mL), and then cyclopropylamine (6.53 mL, 94.25 mmol) was added to the reaction mixture under a nitrogen atmosphere, followed by stirring overnight at room temperature. To the mixture was added water (1.75 L), and the mixture was stirred. Precipitated crude crystals were filtered off, washed with water, and dried at 70° C. for 50 min. To the obtained crude crystals was added ethanol (300 mL), and then the mixture was heated under reflux for 30 min to dissolve, followed by stirring overnight to cool slowly down to room temperature. Precipitated crystals was filtered off and dried under vacuum, and then further dried at 70° C. for 8 hours to give the titled crystals (12.91 g; 80.2%). To a suspension of 4-amino-3-chlorophenol (23.7 g) in N,N-dimethylformamide (100 mL) was added pyridine (23.4 mL) while cooling in an ice bath, and phenyl chloroformate (23.2 mL) was added dropwise below 20° C. After stirring at room temperature for 30 min, water (400 mL), ethyl acetate (300 mL), and 6N-HCl (48 mL) were added and stirred. The organic layer was separated off, washed twice with a 10% aqueous sodium chloride solution (200 mL), and dried over magnesium sulfate. The solvent was evaporated to give 46 g of the titled compound as a solid. 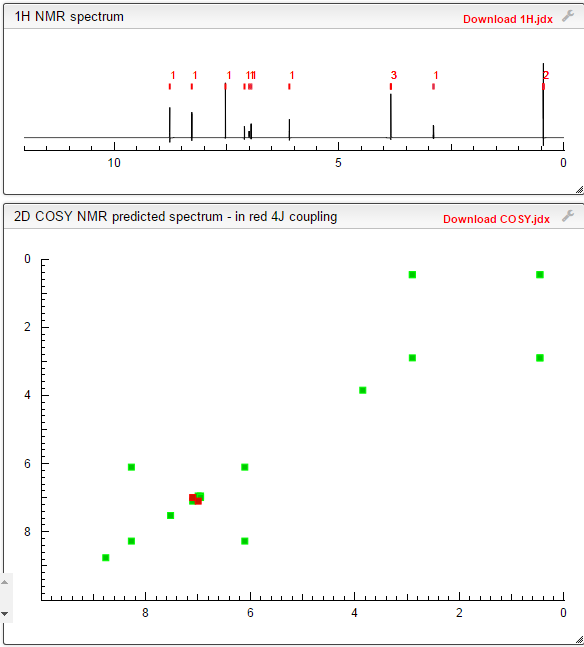 1H-NMR Spectrum (CDCl3) δ(ppm): 5.12 (1H, br s), 6.75 (1H, dd, J=9.2, 2.8 Hz), 6.92 (1H, d, J=2.8 Hz), 7.18-7.28 (4H, m), 7.37-7.43 (2H, m), 7.94 (1H, br s). To a solution of phenyl N-(2-chloro-4-hydroxyphenyl)carbamate in N,N-dimethylformamide (100 mL) was added cyclopropylamine (22.7 mL) while cooling in an ice bath, and the stirring was continued at room temperature overnight. Water (400 mL), ethyl acetate (300 mL), and 6N-HCl (55 mL) were added thereto, and the mixture was stirred. The organic layer was then separated off, washed twice with a 10% aqueous sodium chloride solution (200 mL), and dried over magnesium sulfate. The solvent was evaporated to give prism crystals, which were filtered off and washed with heptane to give 22.8 g of the titled compound (yield from 4-amino-3-chlorophenol: 77%). To dimethyl sulfoxide (20 mL) were added 7-methoxy-4-chloroquinoline-6-carboxamide (0.983 g), 1-(2-chloro-4-hydroxyphenyl)-3-cyclopropylurea (1.13 g) and cesium carbonate (2.71 g), and the mixture was heated and stirred at 70° C. for 23 hours. The reaction mixture was cooled to room temperature, and water (50 mL) was added, and the resultant crystals were then filtered off to give 1.56 g of the titled compound (yield: 88%). 7-Methoxy-4-chloroquinoline-6-carboxamide (5.00 kg, 21.13 mol), dimethyl sulfoxide (55.05 kg), 1-(2-chloro-4-hydroxyphenyl)-3-cyclopropylurea 5.75 kg, 25.35 mol) and potassium t-butoxide (2.85 kg, 25.35 mol) were introduced in this order into a reaction vessel under a nitrogen atmosphere. The mixture was stirred for 30 min at 20° C., and the temperature was raised to 65° C. over 2.5 hours. The mixture was stirred at the same temperature for 19 hours. 33% (v/v) acetone-water (5.0 L) and water (10.0 L) were added dropwise over 3.5 hours. After the addition was completed, the mixture was stirred at 60° C. for 2 hours. 33% (v/v) acetone-water (20.0 L) and water (40.0 L) were added dropwise at 55° C. or more over 1 hour. After stirring at 40° C. for 16 hours, precipitated crystals were filtered off using a nitrogen pressure filter, and was washed with 33% (v/v) acetone-water (33.3 L), water (66.7 L), and acetone (50.0 L) in that order. The obtained crystals were dried at 60° C. for 22 hours using a conical vacuum dryer to give 7.78 kg of the titled compound (yield: 96.3%). 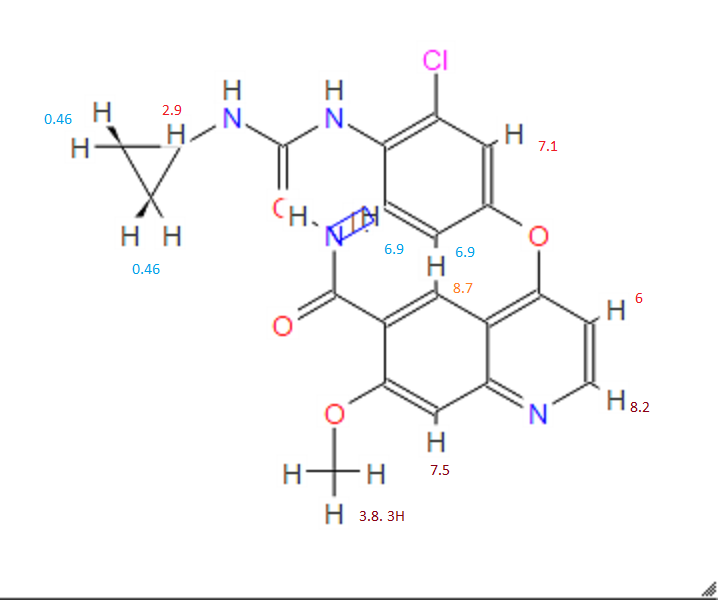 1H-NMR chemical, shift values for 4-(3-chloro-4-(cyclopropylaminocarbonyl)aminophenoxy)-7-methoxy-6-quinolinecarboxamides obtained in Preparation Examples 1 to 3 corresponded to those for 4-(3-chloro-4-(cyclopropylaminocarbonyl)aminophenoxy)-7-methoxy-6-quinolinecarboxamide disclosed in WO 02/32872. In a mixed solution of methanol (14 mL) and methanesulfonic acid (143 μL, 1.97 mmol) was dissolved 4-(3-chloro-4-(cyclopropylaminocarbonyl)aminophenoxy)-7-methoxy-6-quinolinecarboxamide (700 mg, 1.64 mmol) at 70° C. After confirming the dissolution of 4-(3-chloro-4-(cyclopropylaminocarbonyl)aminophenoxy)-7-methoxy-6-quinolinecarboxamide, the reaction mixture was cooled to room temperature over 5.5 hours, further stirred at room temperature for 18.5 hours, and crystals were filtered off. The resultant crystals were dried at 60° C. to give the titled crystals (647 mg). In a mixed solution of acetic acid (6 mL) and methanesulfonic acid (200 μL, 3.08 mmol) was dissolved 4-(3-chloro-4-(cyclopropylaminocarbonyl)aminophenoxy)-7-methoxy-6-quinolinecarboxamide (600 mg, 1.41 mmol) at 50° C. After confirming the dissolution of 4-(3-chloro-4-(cyclopropylaminocarbonyl)aminophenoxy)-7-methoxy-6-quinolinecarboxamide, ethanol (7.2 mL) and seed crystals of a crystalline form of the methanesulfonate of 4-(3-chloro-4-(cyclopropylaminocarbonyl)aminophenoxy)-7-methoxy-6-quinolinecarboxamide (Form A) (12 mg) were added in this order to the reaction mixture, and ethanol (4.8 mL) was further added dropwise over 2 hours. After the addition was completed, the reaction mixture was stirred at 40° C. for 1 hour then at room temperature for 9 hours, and crystals were filtered off. The resultant crystals were dried at 60° C. to give the titled crystals (545 mg). According to the present invention 4- (3-chloro-4- (cyclopropylamino-carbonyl) aminophenoxy) -7-methoxy-6-quinolinecarboxamide amorphous is excellent in solubility in water. 4- (3-chloro-4- (cyclopropylamino-carbonyl) amino phenoxy) -7-methoxy-6-quinolinecarboxamide B-type crystals (Patent Document 2) were weighed to 300mg, is placed in a beaker of 200mL volume, it was added tert- butyl alcohol (tBA) 40mL. This was heated to boiling on a hot plate, an appropriate amount of tBA to Compound A is dissolved, water was added 10mL. Then, the weakened heated to the extent that the solution does not boil, to obtain a sample solution. It should be noted, finally the solvent amount I was 60mL. 200mL capacity eggplant type flask (egg-plant shaped flask), and rotated in a state of being immersed in ethanol which had been cooled with dry ice. It was added dropwise a sample solution into the interior of the flask and frozen. After freezing the sample solution total volume, to cover the opening of the flask in wiping cloth, and freeze-dried. We got an amorphous A of 290mg. Amorphous A 13 C-solid state NMR spectrum in Figure 2, the chemical shifts and I are shown in Table 3. Matsui, J.; Funahashi, Y.; Uenaka, T.; Watanabe, T.; Tsuruoka, A.; Asada, M. (2008). “Multi-Kinase Inhibitor E7080 Suppresses Lymph Node and Lung Metastases of Human Mammary Breast Tumor MDA-MB-231 via Inhibition of Vascular Endothelial Growth Factor-Receptor (VEGF-R) 2 and VEGF-R3 Kinase”. Clinical Cancer Research 14 (17): 5459–65.doi:10.1158/1078-0432.CCR-07-5270. PMID 18765537. 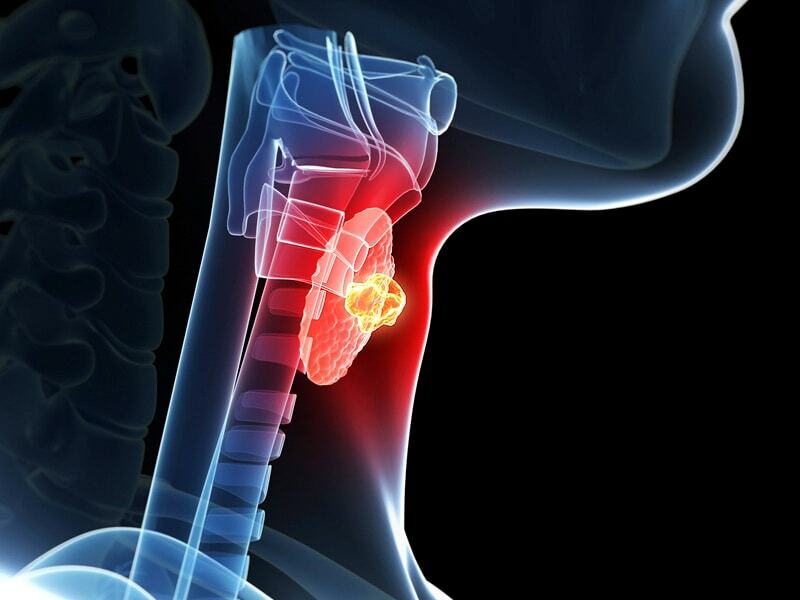 “Phae III trial shows lenvatinib meets primary endpoint of progression free surival benefit in treatment of radioiodine-refactory differentiated thyroid cancer”. Eisai. 3 February 2014. Glen, H; D. Boss; T. R. Evans; M. Roelvink; J. M. Saro; P. Bezodis; W. Copalu; A. Das; G. Crosswell; J. H. Schellens (2007). “A phase I dose finding study of E7080 in patients (pts) with advanced malignancies”. Journal of Clinical Oncology, ASCO Annual Meeting Proceedings Part I 25 (18S): 14073. Martin Schlumberger et al. A phase 3, multicenter, double-blind, placebo-controlled trial of lenvatinib(E7080) in patients with 131I-refractory differentiated thyroid cancer (SELECT). 2014 ASCO Annual Meeting. Abstract Number:LBA6008. Presented June 2, 2014. Citation: J Clin Oncol 32:5s, 2014 (suppl; abstr LBA6008). Clinical trial information: NCT01321554. Sakaguchi, Takahisa; Tsuruoka, Akihiko. Preparation of amorphous salts of 4-​[3-​chloro-​4-​[(cyclopropylaminocarbonyl)​amino]​phenoxy]​-​7-​methoxy-​6-​quinolinecarboxamide as antitumor agents. PCT Int. Appl. (2006), WO2006137474 A1 20061228. Itaru Arimoto et al. Crystal of salt of 4-​[3-​chloro-​4-​(cyclopropylaminocarbonyl)​amino-​phenoxy]​-​7-​methoxy-​6-​quinolinecarboxamide or solvate thereof and processes for producing these. PCT Int. Appl. (2005), WO2005063713 A1 20050714. Booksellers receive a 15% discount – please ask for a COUPON CODE before ordering! ECA is pleased to announce a major development: now you can have all GMP information on your smartphone or Tablet PC (e.g. iPad) – with the new free of charge ECA GMP WebApp. The unique new WebApp provides a number of GMP features. The App, which works on all smartphones (Apple and Android), is a useful tool for all professionals in the GMP environment. To open it, just go to app.gmp-compliance.org in your browser and the WebApp opens immediately. To use the App in a convenient way you need to add the ECA icon to the Home screen (see below). From ECA‘s weekly GMP Newsletter you are used to get the latest trends in the GMP environment. Now you can have these news at hand and keep track of all GMP developments any time. You will always find the latest GMP News on your App. The App allows you to access the major GMP Guidelines very easily. Whenever a revised GMP Guide is published the document is available without any update of the App. So you can always check the relevant Guidelines in seconds. If you are looking for additional GMP information, the „Search“ function is very helpful. Just enter a keyword and select a specific database – or just search in all databases. The GMP Database contains hundreds of GMP articles and more than 1.000 GMP Guidelines. You do not need to search on different websites for the information. The GMP Database provides the links to the most relevant information. On the ECA website you can scroll a list with all currently offered courses and conferences. The new WebApp does provide that list as well. Simply go on „GMP Courses & Conferences“ to access the complete ECA course and conference programme any time. If you just want to get a list with courses and conferences in a certain area, simply use the „GMP Search“ function decsribed before. And… by the way… if you found the programme you were just looking for… you can even register by using the App. Access to more than 1.200 GMP Guidelines This function is an exclusive service for ECA Members (Company Members will get access for all employees*). After login you will have access to all GMP Guidelines from EU/EMA, FDA, ICH, PIC/S, ICH, APIC, IPEC and WHO. To log in simply use your user name and password from your ECA Membership account. ECA Members have access to two so called Webtrees. One Guideline Tree is structured according to GMP topics. The second Guideline Tree is structured according to authorities. By using the Guideline Trees you can easily access the Guideline of interest. * Employees of all sites in the country in which the company signed up for the membership. Olodaterol (trade name Striverdi) is a long acting beta-adrenoceptor agonist used as an inhalation for treating patients with chronic obstructive pulmonary disease (COPD), manufactured by Boehringer-Ingelheim. 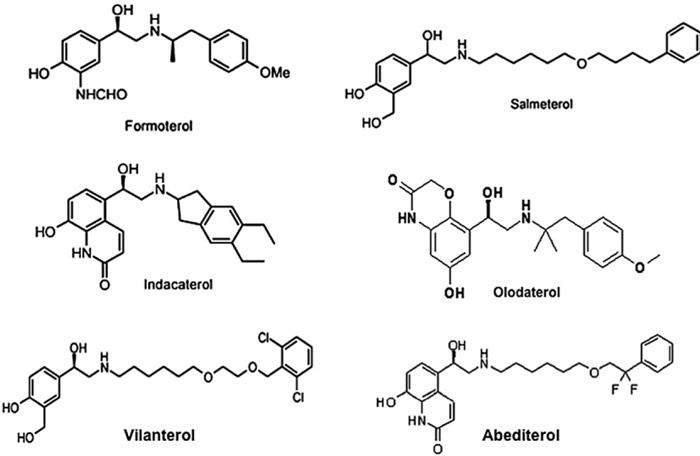 Olodaterol is a potent agonist of the human β2-adrenoceptor with a high β1/β2 selectivity. Its crystalline hydrochloride salt is suitable for inhalation and is currently undergoing clinical trials in man for the treatment of asthma. Oloda­terol has a duration of action that exceeds 24 hours in two preclinical animal models of bronchoprotection and it has a better safety margin compared with formoterol. Boehringer Ingelheim has launched a new chronic obstructive pulmonary disease drug, Striverdi in the UK and Ireland. Olodaterol hydrochloride is a drug candidate originated by Boehringer Ingelheim. The product, delivered once-daily by the Respimat Soft Mist Inhaler, was first launched in Denmark and the Netherlands in March 2014 for the use as maintenance treatment of chronic obstructive pulmonary disease (COPD), including chronic bronchitis and/or emphysema. In 2013, approval was obtained in Russia and Canada for the same indication, and in the U.S, the product was recommended for approval. Phase III clinical trials for the treatment of COPD are ongoing in Japan. Olodaterol is a once-daily maintenance bronchodilator treatment of airflow obstruction in patients with COPD including chronic bronchitis and/or emphysema, and is administered in an inhaler called Respimat Soft Mist Inhaler. As of December 2013, olodaterol is not approved for the treatment of asthma. Olodaterol monotherapy was previously evaluated in four Phase 2 studies in asthma patients. However, currently there are no Phase 3 studies planned for olodaterol monotherapy in patients with asthma. In late January 2013, Olodaterol CAS# 868049-49-4 was the focus of an FDA committee reviewing data for the drug’s approval as a once-daily maintenance bronchodilator to treat chronic obstructive pulmonary disease (COPD), as well as chronic bronchitis and emphysema. The FDA Pulmonary-Allergy Drugs Advisory Committee recommended that the clinical data from the Boehringer Ingelheim Phase III studies be included in their NDA. Also known as the trade name Striverdi Respimat, Olodaterol is efficacious as a long-acting beta-agonist, which patients self-administer via an easy to use metered dose inhaler. While early statistics from clinical trials of Olodaterol were encouraging, a new set of data was released earlier this week, which only further solidified the effectual and tolerable benefits of this COPD drug. On September 10, 2013 results from two Phase 3 studies of Olodaterol revealed additional positive results from this formidable COPD treatment. The conclusion from these two 48 week studies, which included over 3,000 patients, showed sizable and significant improvements in the lung function of patients who were dosed with Olodaterol. Patients in the aforementioned studies were administered either a once a day dosage of Olodaterol via the appropriate metered-dose inhaler or “usual care”. The “usual care” included a variety of treatment options, such as inhaled corticosteroids (not Olodaterol), short and long acting anticholinergics, xanthines and beta agonists, which were short acting. The clinical trial participants who were dosed with Olodaterol displayed a rapid onset of action from this drug, oftentimes within the first five minutes after taking this medication. Additionally, patients dispensed the Olodaterol inhaler were successfully able to maintain optimum lung function for longer than a full 24 hour period. The participants who were given Olodaterol experienced such an obvious clinical improvement in their COPD symptoms, and it quickly became apparent that the “usual care” protocol was lacking in efficacy and reliability. A staggering 24 million patients in the United States suffer from chronic obstructive pulmonary disease, and this patient population is in need of an effectual, safe and tolerable solution. Olodaterol is shaping up to be that much needed solution. Not only have the results from studies of Olodaterol been encouraging, the studies themselves have actually been forward thinking and wellness centered. Boehringer Ingelheim is the first company to included studies to evaluate exercise tolerance in patients with COPD, and compare the data to those patients who were dosed with Olodaterol. By including exercise tolerance as an important benchmark in pertinent data for Olodaterol, Boehringer Ingelheim has created a standard for COPD treatment expectations. The impaired lung function for patients with COPD contributes greatly to their inability to exercise and stay healthy. Patients who find treatments and management techniques to combat the lung hyperinflation that develops during exercise have a distinct advantage to attaining overall good health. Data has demonstrated that Striverdi, a once-daily long-acting beta2 agonist, significantly improved lung function versus placebo and is comparable to improvements shown with the older LABA formoterol. The NHS price for the drug is £26.35 for a 30-day supply. Boehringer cited Richard Russell at Wexham Park Hospital as saying that the licensing of Stirverdi will be welcomed by clinicians as it provides another option. He added that the trial results showing improvements in lung function “are particularly impressive considering the study design, which allowed participants to continue their usual treatment regimen. This reflects more closely the real-world patient population”. Significantly, the company is also developing olodaterol in combination with Spiriva, a long-acting muscarinic antagonist. LAMA/LABA combinations provide the convenience of delivering the two major bronchodilator classes. 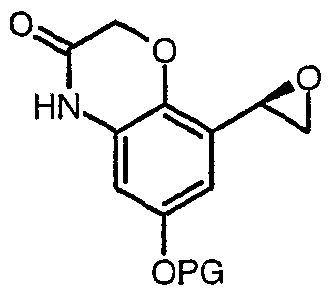 Olodaterol is a novel, long-acting beta2-adrenergic agonist (LABA) that exerts its pharmacological effect by binding and activating beta2-adrenergic receptors located primarily in the lungs. Beta2-adrenergic receptors are membrane-bound receptors that are normally activated by endogenous epinephrine whose signalling, via a downstream L-type calcium channel interaction, mediates smooth muscle relaxation and bronchodilation. Activation of the receptor stimulates an associated G protein which then activates adenylate cyclase, catalyzing the formation of cyclic adenosine monophosphate (cAMP) and protein kinase A (PKA). Elevation of these two molecules induces bronchodilation by relaxation of airway smooth muscles. It is by this mechanism that olodaterol is used for the treatment of chronic obstructive pulmonary disease (COPD) and the progressive airflow obstruction that is characteristic of it. Treatment with bronchodilators helps to mitigate associated symptoms such as shortness of breath, cough, and sputum production. Single doses of olodaterol have been shown to improve forced expiratory volume in 1 sec (FEV1) for 24 h in patients with COPD, allowing once daily dosing. A once-a-day treatment with a LABA has several advantages over short-acting bronchodilators and twice-daily LABAs including improved convenience and compliance and improved airflow over a 24-hour period. Despite similarities in symptoms, olodaterol is not indicated for the treatment of acute exacerbations of COPD or for the treatment of asthma. Adverse effects generally were rare and mild in clinical studies. Most common, but still affecting no more than 1% of patients, were nasopharyngitis (running nose), dizziness and rash. To judge from the drug’s mechanism of action and from experiences with related drugs, hypertension (high blood pressure), tachycardia (fast heartbeat), hypokalaemia (low blood levels of potassium), shaking, etc., might occur in some patients, but these effects have rarely, if at all, been observed in studies. Based on theoretical considerations, co-application of other beta-adrenoceptor agonists, potassium lowering drugs (e. g. corticoids, many diuretics, and theophylline), tricyclic antidepressants, and monoamine oxidase inhibitors could increase the likelihood of adverse effects to occur. Beta blockers, a group of drugs for the treatment of hypertension (high blood pressure) and various conditions of the heart, could reduce the efficacy of olodaterol. Clinical data on the relevance of such interactions are very limited. Like all beta-adrenoceptor agonists, olodaterol mimics the effect of epinephrine at beta-2 receptors (β₂-receptors) in the lung, which causes the bronchi to relax and reduces their resistance to airflow. Olodaterol is a nearly full β₂-agonist, having 88% intrinsic activity compared to the gold standard isoprenaline. Its half maximal effective concentration (EC50) is 0.1 nM. It has a higher in vitro selectivity for β₂-receptors than the related drugs formoterol and salmeterol: 241-fold versus β₁- and 2299-fold versus β₃-receptors. The high β₂/β₁ selectivity may account for the apparent lack of tachycardia in clinical trials, which is mediated by β₁-receptors on the heart. Once bound to a β₂-receptor, an olodaterol molecule stays there for hours – its dissociation half-life is 17.8 hours –, which allows for once-a-day application of the drug like with indacaterol. Other related compounds generally have a shorter duration of action and have to be applied twice daily (e.g. formoterol, salmeterol). Still others (e. g. salbutamol, fenoterol) have to be applied three or four times a day for continuous action, which can also be an advantage for patients who need to apply β₂-agonists only occasionally, for example in an asthma attack. On 29 January 2013 the U.S. Food and Drug Administration (FDA) Pulmonary-Allergy Drugs Advisory Committee (PADAC) recommended that the clinical data included in the new drug application (NDA) for olodaterol provide substantial evidence of safety and efficacy to support the approval of olodaterol as a once-daily maintenance bronchodilator treatment for airflow obstruction in patients with COPD. On 18 October 2013 approval of olodaterol in the first three European countries – the United Kingdom, Denmark and Iceland – was announced by the manufacturer. Synthesis of olodaterol hydrochloride (XVI). 76% yield. Subsequent nitration occurred at the 4’-position to provide nitrophenol 123 in 87% yield. 142. Gibb, A.; Yang, L. P. H. Drugs 2013, 73, 1841. C.; Buettner, F. H.; Schnapp, A.; Konetzki, I. Bioorg. Med. Chem. Lett. 2010, 20, 1410. 145. Trunk, M. J. F.; Schiewe, J. US Patent 20050255050A1, 2005. 146. Lustenberger, P.; Konetzki, I.; Sieger, P. US Patent 20090137578A1, 2009. To a solution of 3.6 g 1,1-dimethyl-2-(4-methoxyphenyl)-ethylamine in 100 mL of ethanol at 70 ° C. 7.5 g of (6-benzyloxy-4H-benzo [1,4] oxazin-3-one )-glyoxal added and allowed to stir for 15 minutes. Then within 30 minutes at 10 to 20 ° C. 1 g of sodium borohydride added. It is stirred for one hour, with 10 mL of acetone and stirred for another 30 minutes. The reaction mixture is diluted with 150 mL ethyl acetate, washed with water, dried with sodium sulfate and concentrated. The residue is dissolved in 50 mL of methanol and 100 mL ethyl acetate and acidified with conc. Hydrochloric acid. After addition of 100 mL of diethyl ether, the product precipitates. The crystals are filtered, washed and recrystallized from 50 mL of ethanol. Yield: 7 g (68%; hydrochloride), mp = 232-234 ° C.
6.8 g of the above obtained benzyl compound in 125 mL of methanol with the addition of 1 g of palladium on carbon (5%) was hydrogenated at room temperature and normal pressure. The catalyst is filtered and the filtrate was freed from solvent. Recrystallization of the residue in 50 mL of acetone and a little water, a solid is obtained, which is filtered and washed. Yield: 5.0 g (89%; hydrochloride), mp = 155-160 ° C.
69.5 g (242 mmol) of l-(5-benzyloxy-2-hydroxy-3-nitro-phenyl)-ethanone are dissolved in 1.4 L of methanol and in the presence of 14 g of rhodium on carbon (10%) as catalyst at 3 bar room temperature and hydrogenated. Then the catalyst is filtered off and the filtrate concentrated. The residue is reacted further without additional purification. Yield: 60.0 g (96%), R f value = 0.45 (silica gel, dichloromethane). d) 6-Benzyloxy-8-(2-chloro-acetyl)-4H-benzoFl, 4] oxazin-3-one 13.8 g (46.0 mmol) of 8-benzyloxy-6-Acetyl-4H-benzo [l, 4] oxazin -3-one and 35.3 g (101.5 mmol) of benzyltrimethylammonium dichloriodat are stirred in 250 mL dichloroethane, 84 mL glacial acetic acid and 14 mL water for 5 hours at 65 ° C. After cooling to room temperature, treated with 5% aqueous sodium hydrogen sulfite solution and stirred for 30 minutes. The precipitated solid is filtered off, washed with water and diethyl ether and dried. Yield: 13.2 g (86%), mass spectroscopy [M + H] + = 330/32. 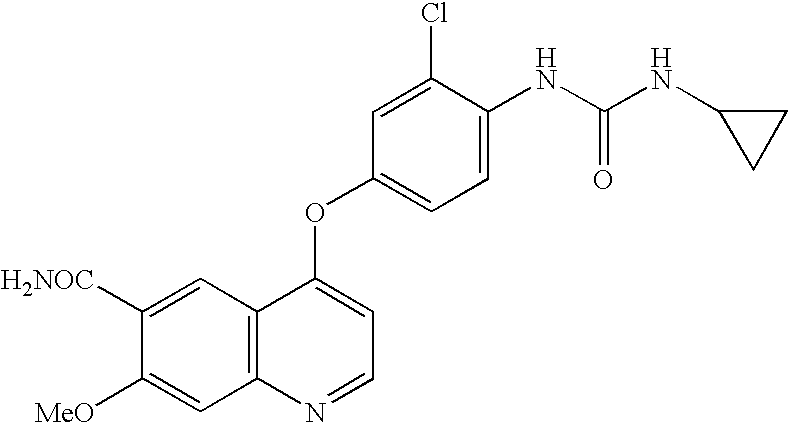 e) 6-Benzyloxy-8-((R-2-chloro-l-hydroxy-ethyl)-4H-benzori ,41-oxazin-3-one The procedure is analogous to a procedure described in the literature (Org. Lett ., 2002, 4, 4373-4376). To 13:15 g (39.6 mmol) of 6-benzyloxy-8-(2-chloro-acetyl)-4H-benzo [l, 4] oxazin-3-one and 25.5 mg (0:04 mmol) Cρ * RhCl [(S, S) -TsDPEN] (Cp * = pentamethylcyclopentadienyl and TsDPEN = (lS, 2S)-Np-toluenesulfonyl-l ,2-diphenylethylenediamine) in 40 mL of dimethylformamide at -15 ° C and 8 mL of a mixture of formic acid and triethylamine (molar ratio = 5: 2) dropwise. It is allowed for 5 hours at this temperature, stirring, then 25 mg of catalyst and stirred overnight at -15 ° C. The reaction mixture is mixed with ice water and filtered. The filter residue is dissolved in dichloromethane, dried with sodium sulfate and the solvent evaporated. The residue is recrystallized gel (dichloromethane / methanol gradient) and the product in diethyl ether / diisopropyl ether. Yield: 10.08 g (76%), R f value = 00:28 (on silica gel, dichloromethane ethanol = 50:1). f) 6-Benzyloxy-8-(R-oxiranyl-4H-benzo [“L4] oxazin-3-one 6.10 g (30.1 mmol) of 6-benzyloxy-8-((R)-2-chloro-l-hydroxy- ethyl)-4H-benzo [l, 4] oxazin-3-one are dissolved in 200 mL of dimethylformamide. added to the solution at 0 ° C with 40 mL of a 2 molar sodium hydroxide solution and stirred at this temperature for 4 hours. the reaction mixture is poured onto ice water, stirred for 15 minutes, and then filtered The solid is washed with water and dried to give 8.60 g (96%), mass spectroscopy [M + H] + = 298.. 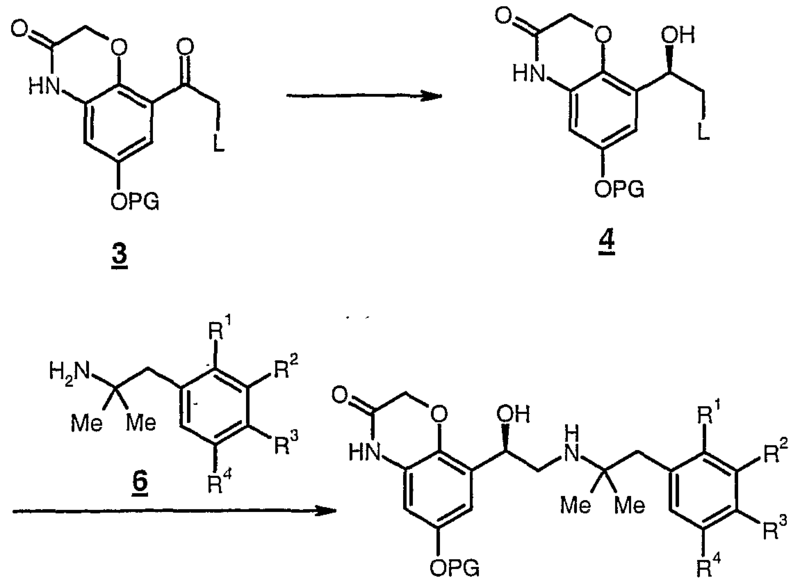 The discovery of the β2-adrenoceptor agonist (R)-4p designated olodaterol is described. The preclinical profile of the compound suggests a bronchoprotective effect over 24 h in humans. Haberfeld, H, ed. (2009). Austria-Codex (in German) (2009/2010 ed.). Vienna: Österreichischer Apothekerverlag. ISBN 3-85200-196-X. Hollis A (31 January 2013). “Panel Overwhelmingly Supports Boehringer COPD Drug Striverdi”. FDA News/Drug Industry Daily. “New once-daily Striverdi (olodaterol) Respimat gains approval in first EU countries”. Boehringer-Ingelheim. 18 October 2013. The active moiety olodaterol is a selective beta2-adrenergic bronchodilator. The drug substance, olodaterol hydrochloride, is chemically described as 2H-1,4- Benzoxazin-3H(4H)-one, 6-hydroxy-8-[(1R)-1-hydroxy-2-[[2-(4-methoxyphenyl)-1,1-dimethylethyl]-amino]ethyl]-, monohydrochloride. Olodaterol hydrochloride is a white to off-white powder that is sparingly-slightly soluble in water and slightly soluble in ethanol. 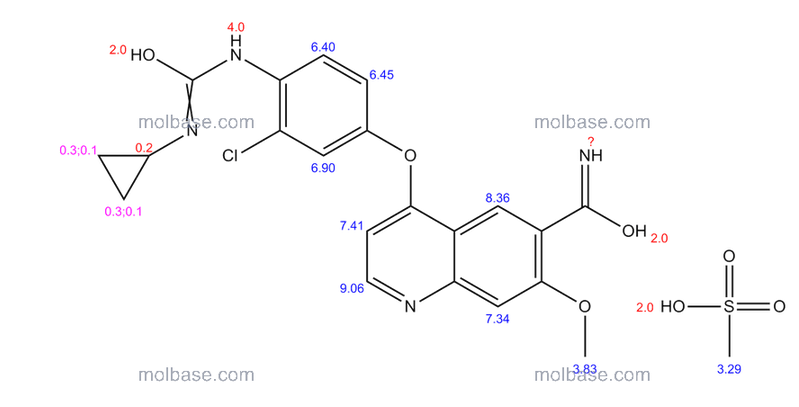 The molecular weight is 422.9 g/mole (salt): 386.5 g/mole (base), and the molecular formula is C21H26N2O5 x HCl as a hydrochloride. The conversion factor from salt to free base is 1.094. The drug product, STRIVERDI RESPIMAT, is composed of a sterile, aqueous solution of olodaterol hydrochloride filled into a 4.5 mL plastic container crimped into an aluminum cylinder (STRIVERDI RESPIMAT cartridge) for use with the STRIVERDI RESPIMAT inhaler. Excipients include water for injection, benzalkonium chloride, edetate disodium, and anhydrous citric acid. The STRIVERDI RESPIMAT cartridge is only intended for use with the STRIVERDI RESPIMAT inhaler. The STRIVERDI RESPIMAT inhaler is a hand held, pocket sized oral inhalation device that uses mechanical energy to generate a slow-moving aerosol cloud of medication from a metered volume of the drug solution. The STRIVERDI RESPIMAT inhaler has a yellow-colored cap. When used with the STRIVERDI RESPIMAT inhaler, each cartridge containing a minimum of 4 grams of a sterile aqueous solution delivers the labeled number of metered actuations after preparation for use. Each dose (1 dose equals 2 actuations) from the STRIVERDI RESPIMAT inhaler delivers 5 mcg olodaterol in 22.1 mcL of solution from the mouthpiece. As with all inhaled drugs, the actual amount of drug delivered to the lung may depend on patient factors, such as the coordination between the actuation of the inhaler and inspiration through the delivery system. The duration of inspiration should be at least as long as the spray duration (1.5 seconds). Hot on the heels of an approval in the US, regulators in Europe have now also given Takeda’s Entyvio (vedolizumab) the nod for two inflammatory bowel diseases. The European Commission has granted Marketing Authorisation for use of the gut-selective humanised monoclonal antibody to treat adults with moderately to severely active ulcerative colitis (UC) and adults with moderately to severely active Crohn’s disease (CD). Regulators in Europe have given the green light to Pierre Fabre’s Hemangiol for the treatment of proliferating infantile haemangioma. The European Commission has granted the French company authorisation to market Hemangiol, an oral solution of the beta-blocker propranolol specially developed for paediatric use. The thumbs-up follows an approval in the USA in March; it will be launched across the Atlantic as Hemangeol next month. Kevin Grogan is the World News Online Editor for PharmaTimes and has been writing about the industry since 1997, having previously worked as a journalist on rock/pop music publications, while contributing articles to the likes of The Independent and the Manchester Evening News on football. He specialises in the business developments of the pharmaceutical industry – financial results, mergers and acquisitions, alliances, legal tussles – and has a particular interest in emerging markets and the prospects for biotech. In the EU, the number of approved drugs is rising with a new active ingredient; however, stagnated, the number of newly approved generics.